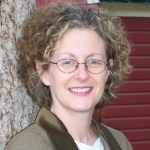 Barbara C. Behan, M.A., is an independent researcher in Missoula, Montana. She has researched Montana’s territorial African American communities as a research fellow for the Montana Committee for the Humanities, results of which are forthcoming in the Journal of African American History. She also prepared the nomination for the listing of the Great Falls, Montana African Methodist Church on the National Register of Historic Places.